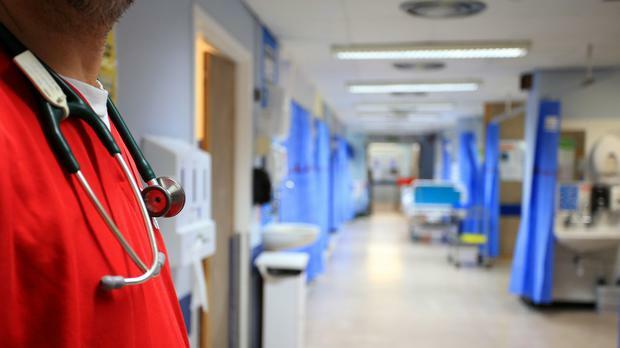 Moving patients from one hospital struggling with A&E chaos to a bed in another hospital which is under less strain will have undoubted benefits. But this latest addition to the HSE's winter-plan menu will not make up for the lack of beds in overcrowded hospitals, as the worst weeks of the trolley crisis loom. It was likened by one doctor as "moving the deckchairs on Titanic". The HSE is pinning much on this new system of allowing each hospital to access real-time data to help ease overcrowding. Each hospital with the available technology will be able to see another's figures on the numbers of patients on trolleys and available beds. It means if there are spare beds in another hospital a patient might be transferred rather than lying on a trolley in the middle of mayhem. However, its winter plan pledges another 79 beds but there is no firm timetable for when these will open and no guarantee enough staff will be available to service them. Pope Francis was invoked by health officials yesterday for providing one of their secret weapons to avoid another Christmas and new year trolley crisis. It was the preparation for the papal visit, and lessons learned from previous winters, which has led the HSE to concentrate its strategy in four crucial weeks from mid-December to mid-January. So how safe will it be to end up in A&E after Christmas and in early January? The reality is there is little new in the plan - although it does seem to be more focused than previous years. A lot of standard measures have been dressed up with catchy titles. So-called 'winter-ready' clinics have been promoted in recent weeks. But it emerged yesterday they amount to no more than extra visits by public health nurses and other health teams to older people and patients with chronic illnesses, to get them prepared with the flu vaccine and medication to reduce their risk of attending hospital. There is also the well-worn but crucial response to try to free up beds by moving patients out with extra homecare packages and transitional bed places. These are called for even more this year as the numbers of patients that are so-called bed blocking have risen to well over 500 again. However, there are some signs that the trolley crisis may not escalate to the same levels this year as last winter. One of the factors in its favour is the main strain of flu circulating. The seasonal flu vaccine provides good protection against this strain, unlike last year. This will mean fewer people will be infected, although flu remains unpredictable. Another advantage may be the day on which Christmas Day is falling, which will mean more people will be able to see their GP before and after the festivities. The HSE's winter plan also promises longer opening hours for injury clinics and some primary care centres which will act as an alternative for the walking wounded. But the main difficulty of finding beds as patients suffer on trolleys for hours and days will remain. Fianna Fáil's health spokesman Stephen Donnelly criticised the delay in producing the plan. He also said he was particularly concerned so many outpatient appointments are being cancelled. Surgeon Ken Mealy warned that this will have the greatest impact on those who cannot avail of private healthcare and, therefore, already wait the longest for their care.